The FUSON® heat-transfer cigarette tax stamping system provides a simple, cost-effective, and secure way to collect state and municipal taxes. Meyercord stamps provide a combination of overt, covert, and forensic markers. 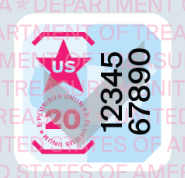 The FUSON® stamp has proven to be a reliable means for maximizing tax collections. 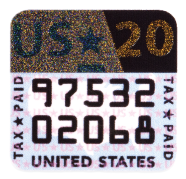 In 2009, over $18 billion in tobacco tax revenue was collected with Meyercord Systems. 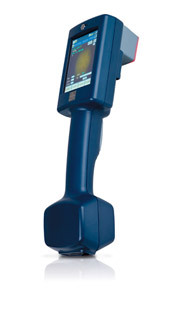 The next-generation, heat-transfer FUSON OASIS® system includes new overt and covert security features that correspond to the highest available security industry standards for tobacco tax stamps protection and allow for quick and reliable authentication by law enforcement and the general public. The system was unveiled June 13, 2011. The SICPATRACE® secure platform – including its advanced inks and stamps, enforcement tools, and encrypted data management system – provides state governments with a forensic trail throughout the cigarette distribution supply chain, from distributor to retailer. This capability enables state governments to accurately estimate and track excise taxes due, identify and reduce the spread of counterfeit products on the market and prosecute counterfeiters, smugglers and sellers of untaxed cigarettes. SICPATRACE enables every cigarette pack sold in a state to be tracked and recorded as it moves through the supply chain, thus ensuring that states have an accurate count of each product sold in their state for Master Settlement Agreement (MSA) or other reconciliation.